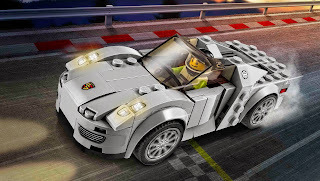 come with a porsche 918 spyder car and a curb with checkered flag. 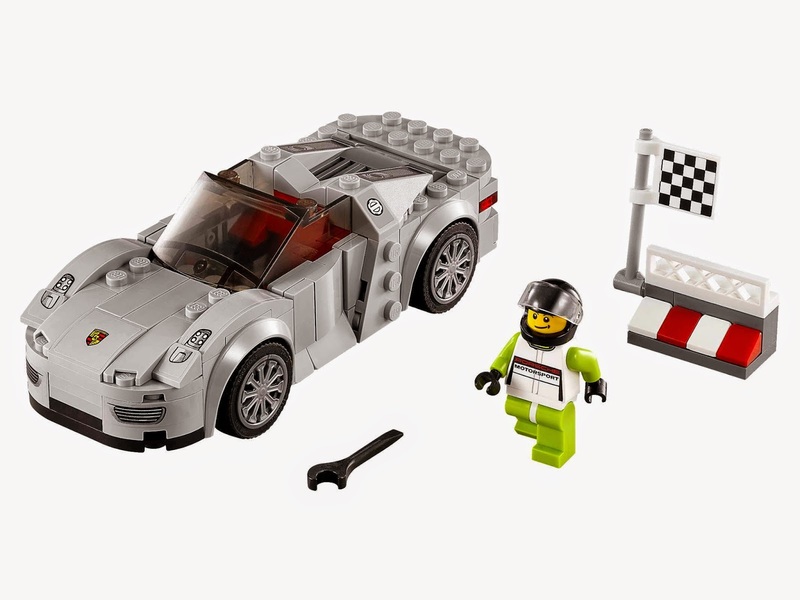 the car has a removable windscreen, a driver cockpit and 2 sets of interchangeable wheel trims. 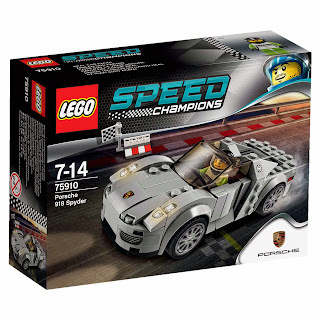 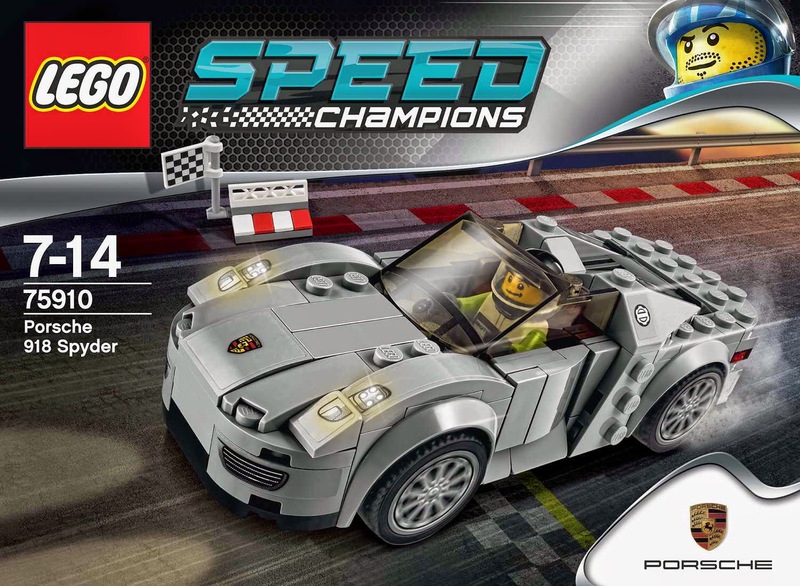 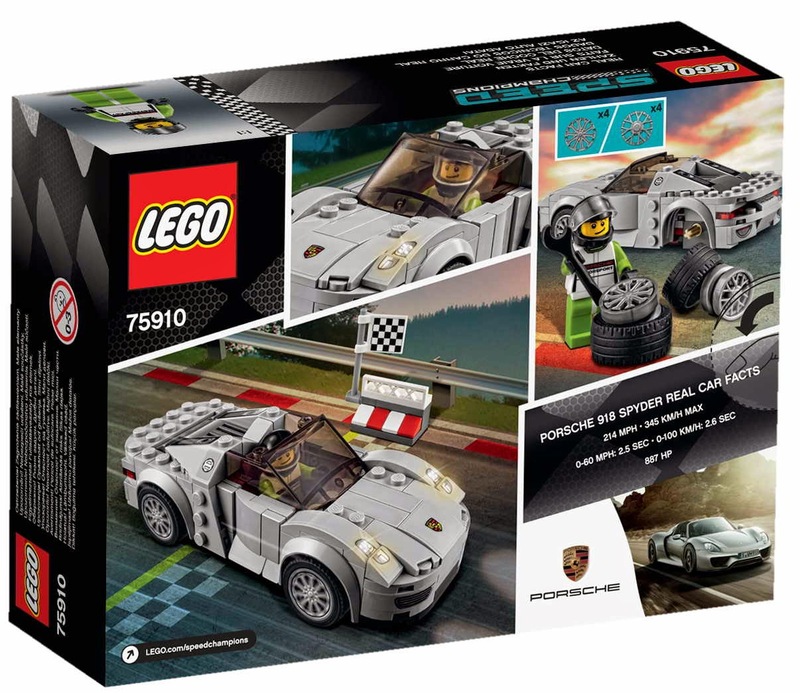 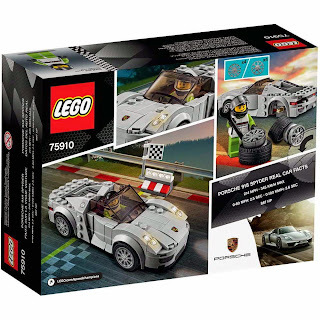 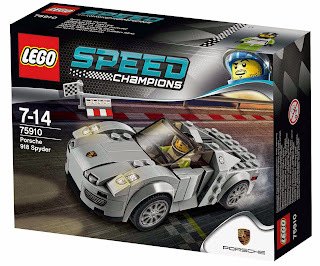 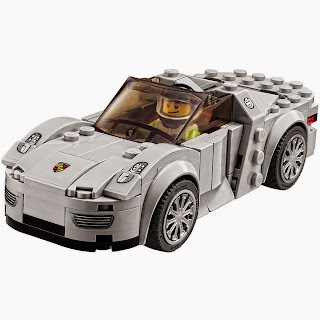 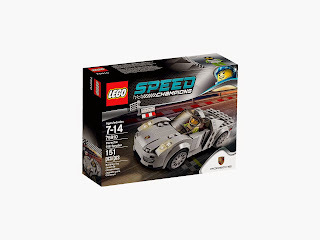 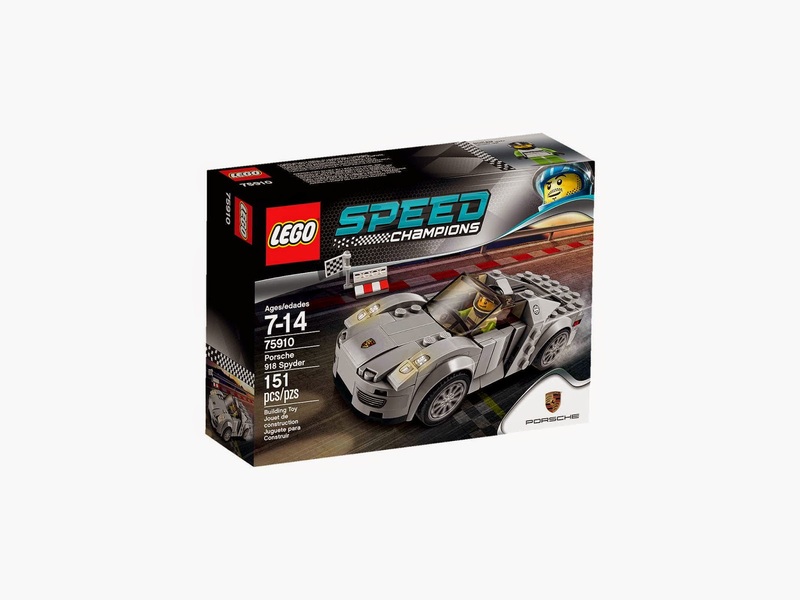 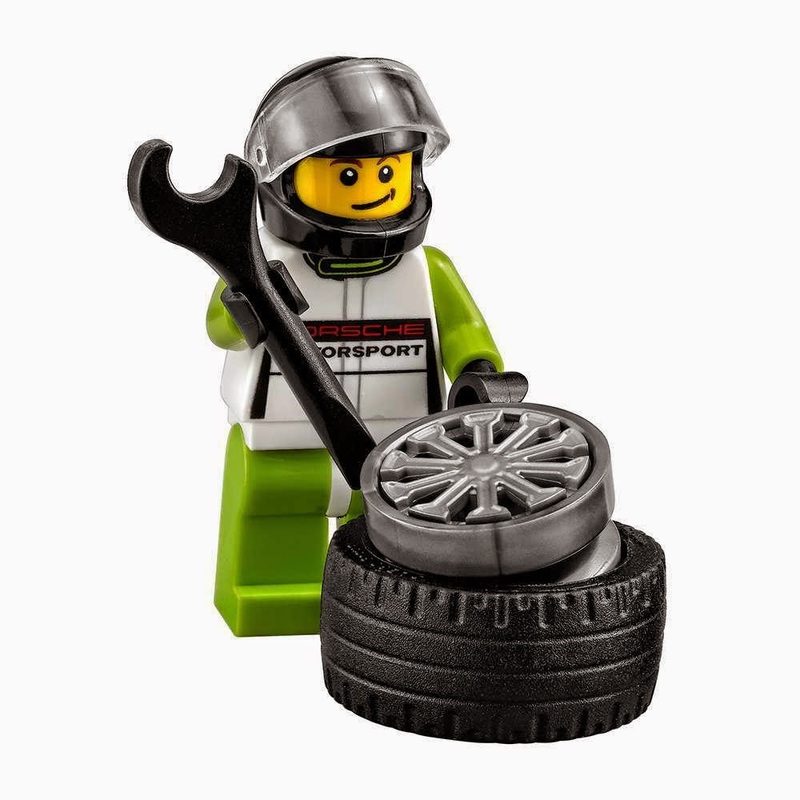 minifig included a porsche driver minifig.